As much as you and every other parent on the planet would probably like to, you simply cannot stay at home with your child all day long. We know, it’s heartbreaking. However, once you are ready to get back to work it’s inevitable that you must find a childcare provider that you feel comfortable leaving your kid with. This is a very difficult choice for a large number of parents. Plain and simple, there are so many aspects of how a daycare is run that will undoubtedly contribute to how you feel about it. However, a quality daycare center, as rare as it may be, does exist. Believe us because we are one at First Class Child Development. Not only is it important that you feel at ease when leaving your child at the daycare you’ve chosen, but you also have to consider the many ways your child’s daily environment could affect him or her. Many of the skills your child will develop over the next few years will be fine tuned while they are with a child care provider. The degree to which their intellect, language skills, social skills and behavior are formed will surely to be changed, either for better or worse, depending on this environment. These sorts of things will go on the play a role in how successful your child is in school and later in life. This will allow your child to get the proper amount of one-on-one attention that they may not be able to receive elsewhere. 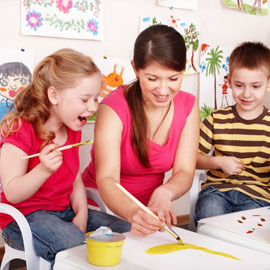 The right daycare will also offer a healthy environment for you child to reside in. This means it will be cleanly and tidy at all times. While you want your child to learn while they are at daycare, you also want them to be around caregivers who truly care about them. If your child seems uncomfortable in the presence of the staff, you may want to consider choosing a different care provider. 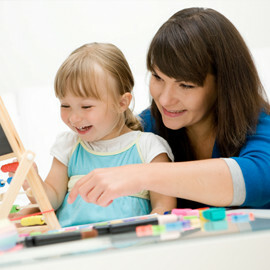 How Do We Know First Class Child Development Center Is A Quality Daycare? We have gone above and beyond to make sure we can provide your child with everything they need on a daily basis while they are at our daycare facility. 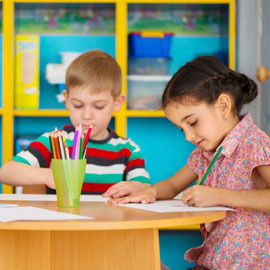 From creating a fun and educational environment, to employing our passionate and caring staff, you won’t have a second thought about whether or not we are the right child care providers for your child. The best part? We are also a school, and therefore the transition from daycare to education can eventually be relatively seamless for your kiddo. They will feel at home by the time you are ready to enroll them in preschool. Curious about what else we have to give? You can learn more about First Class Child Development’s many perks and additional offerings when you explore our website. Still have questions? Call us today and we will give you all the information you are looking to find.